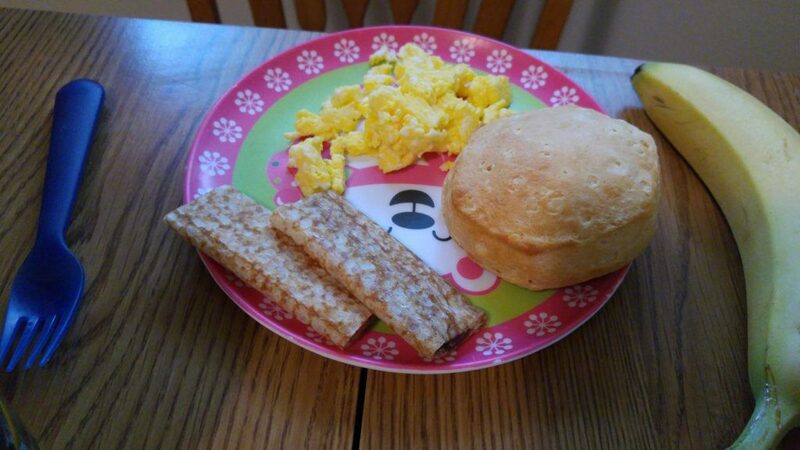 I got these delicious products from Bakerly and decided to add them to a yummy breakfast for my kids and I! We got this sweet bread and these amazing crepes. I made some scrambled eggs and biscuits, and included a banana as well for a well-rounded morning meal! My kids especially love the crepes, which came in chocolate and strawberry. 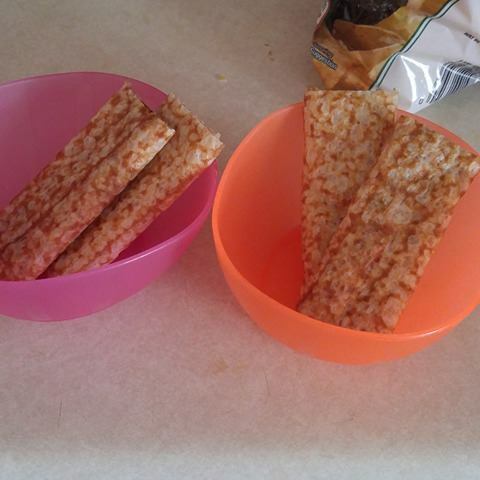 I loved including this sweet yet very healthy treat to my kids’ normal breakfast. Of course they went for the crepes first, haha! I gave them each half of a strawberry crepe and half of a chocolate one. Cupcakes told me chocolate was her favorite and TR favored strawberry. Classic. These are made with simple ingredients and quite healthy. Since they come individually wrapped, they make a perfect snack. I sent them to school with Cupcakes in her snack pouch: SO EASY! I gave them to my son and his friend for their snack that day as well. In the bowls pictured here, there’s half a strawberry crepe and half a chocolate crepe. These samples shipped to me were extremely fresh and delicious; I highly recommend them. Check out their site: Bakerly.com. If you try them, let me know what you think! !